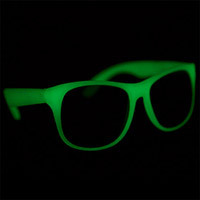 Light up LED Sunglasses with flash, strobe, and steady-on modes! Our Spiral, Slotted Multicolor and Holographic Lightshow Sunglasses will make you look at the world a whole new way. 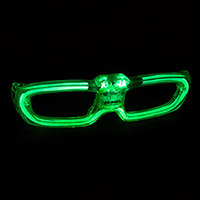 Add more wow factor to any fireworks or light show with these sturdy plastic diffraction glasses. Sunglasses that are stylish for daytime wear and come alive at night so you can glow! 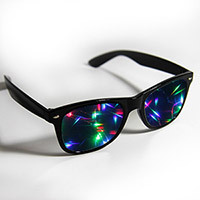 See light shows in a whole new light with these rainbow prism glasses! 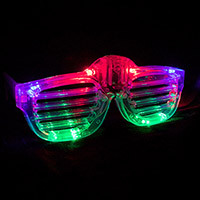 These look like a normal pair of the ultra-trendy shutter shades in a clear frame, until you push the hidden button to activate the 12 brilliant flashing multicolor LEDs. Then dazzle those around you with 3 rockin' blink modes that look spectacular! 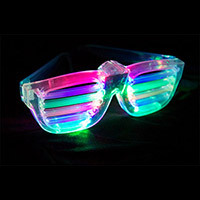 Party on any planet With these Futuristic Light Up Sci-fi Sunglasses. 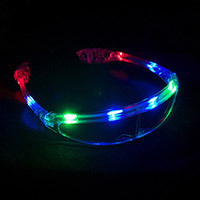 Get into the groove with these LED Shutter Shades. 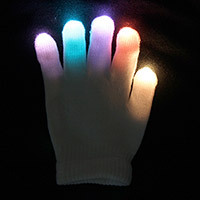 6 bright LEDs light up in in 3 modes. 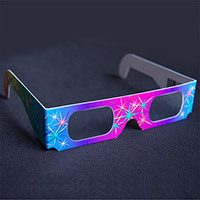 It's hip to be square with these retro-esque sound reactive glasses. Available in Blue, Green or Red. 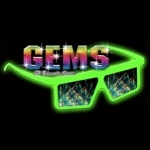 Enhance your lightshow experience with these neon glow-in-the-dark glasses containing special film lenses that create dazzling rainbow spectrums from club lights and fireworks.